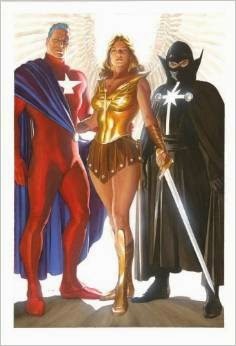 Busiek ups his game with the story of an insidious attack on his version of Wonder Woman (Winged Victory). Winged Victory has been a champion for equal rights. She has established facilities to help women in trouble. Now one of her enemies has revealed that everything was staged. The villains she has beaten were paid by her. She has been framed but all of the evidence has put doubt in the peoples’ heads. It is a race against time to solve the mystery and restore her good name. An excellent book that gets a high recommendation from me.